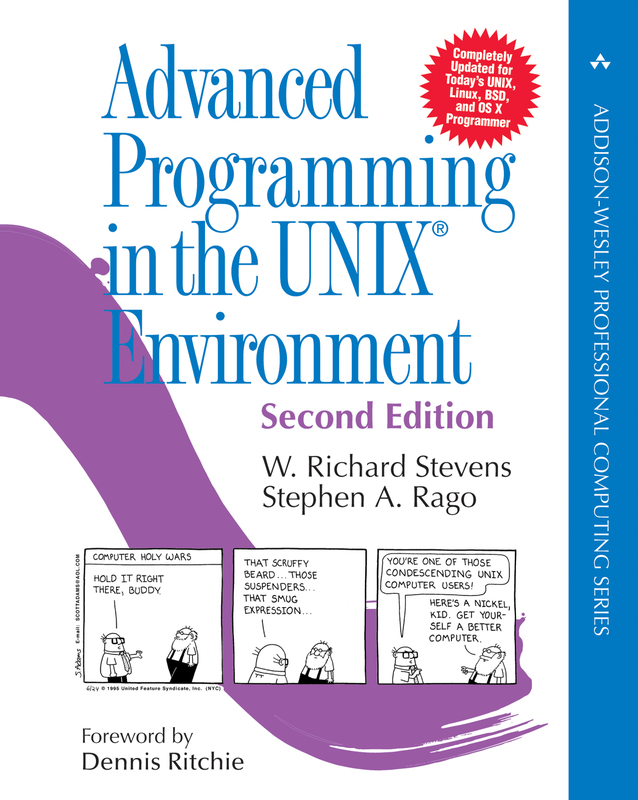 The second edition of Advanced Programming in the UNIX® Environment has been updated to reflect contemporary operating systems and recent changes in standards. In addition, the example chapters were overhauled. The four platforms used to test the examples in the book include FreeBSD 5.2.1, Linux 2.4.22, Mac OS X 10.3, and Solaris 9. These platforms are a moving target, and most likely there are newer versions available now, so your mileage may vary. Major changes include the addition of a chapter on sockets, two chapters on threads, and the removal of the chapter discussing modem communication, although this lost chapter is available here. Additionally, the printer communication chapter was rewritten to account for today's network-based printers. See here for a complete Table of Contents for the second edition.